Scripbox among the three winners in the Fintech category of the FE Best banks Awards for 2016-17. Scripbox was awarded the ‘Best Innovative wealth, asset and investment management service/product‘ by the Internet and Mobile Association of India [IAMAI] at the 8th India Digital Awards. Scripbox was ranked amongst the year's most promising 100 private technology ventures from Asia. We were the only financial services technology company from India to win the award in 2016. 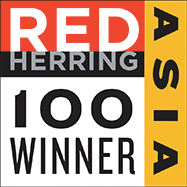 Red Herring has been selecting the most exciting and promising start-ups and scale-ups since 1995. Finalists are evaluated individually from a large pool of hundreds of candidates across Asia. Scripbox uses the LinkedIn platform to engage, educate, and inspire young earners in India. We were ranked as the 2nd most influential financial services brand on LinkedIn in 2015. 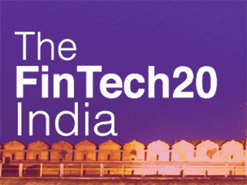 Scripbox was selected by FinTech City, as part of the Inaugural list of Top 20 Fintech companies in India. These 20 companies were shortlisted from a list of over 350 companies.